The next evolution of investment consulting is upon us. 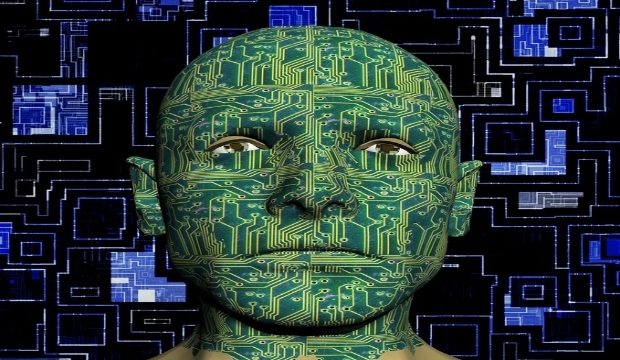 With robo advisors grabbing headlines and wads of venture capital it won’t take long for them to merge with human advisors, thereby creating Cyborg advisors – cybernetic advisors who are half computer and half human. Here’s a glimpse into the not-so-distant future of financial consulting, focusing on the most important advice, asset allocation. Investors benefit from the combination and the competitive fees. 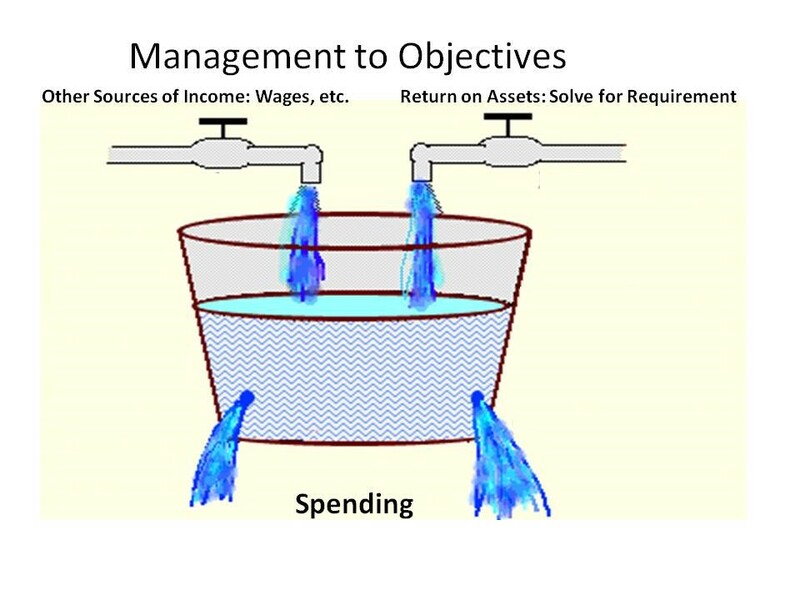 The computer half solves quickly for the return on assets that, when coupled with other sources of income, will support the desired level of spending. In the meantime the human advisor deals with investor psychology and emotion, offering alternatives to spending and suggesting other sources of income. For example, if the investor could spend less or bring home more wages the required return would decrease. 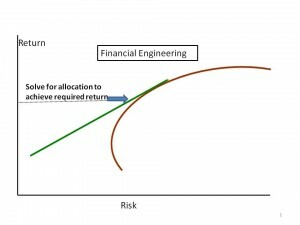 The required return is revisited frequently, navigating the investor toward his or her goals through time. In that way, actual investment performance is incorporated as are life events and other changes. 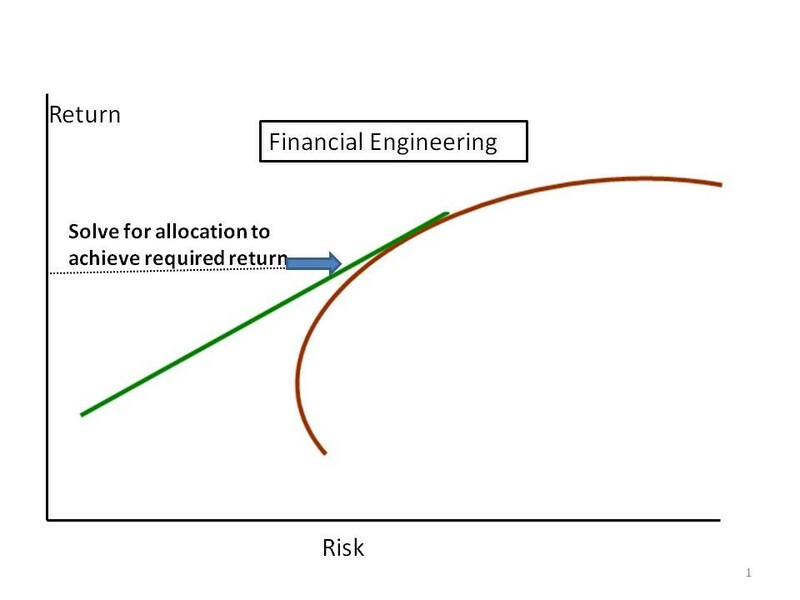 Asset allocation is financially engineered to achieve the necessary return. The Separation Principle employs the Nobel-prize winning structure developed by Dr. William F. Sharpe – the Capital Asset Pricing Model (CAPM). 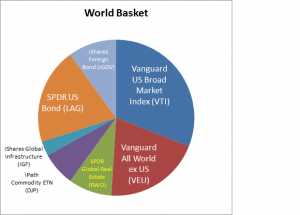 Asset allocation is a blend of just two assets: a broadly diversified World Basket of risky assets (stocks, bonds, real estate, commodities, etc) and a low risk Safe Asset. Here’s a sample World Basket. The computer half solves for the mix that has an acceptable probability of achieving the required return. The human side modifies the World Basket, over- and under-weighting asset classes based on intuition and economic outlooks, as well as hiring active managers wherever they’re likely to add value. The human half might even add alternatives like hedge funds and private equity. This future is now. 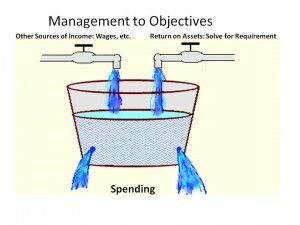 Asset allocations are being determined as described above, using underlying funds of all types – ETFs, mutual funds, etc. Target risk and target return funds are examples, as is my patented Safe Landing Glide Path® for target date funds, which combines CAPM with liability-driven investing (LDI). Similarly, the “pockets of money” solution for the very wealthy is a limiting case of this approach, because the required return is near zero. Robo advisors may co-exist alongside their human advisor competitors for a long time to come, but the evolution will be toward a combination of the two, providing benefits of both at a reasonable cost. Better living through science and intelligence.